When we talk about workstation systems, the elephants in the room are typically Dell and HP, with Lenovo still going strong in ThinkPad sales and Apple picking up the rear for content professionals. Yet there remains a fairly vibrant market for system integrators to produce more specialized workstations. Today we have one of those systems on hand, an octalcore beauty from DigitalStorm that they dub the Slade Pro. I've tested workstations from other system integrators in the past and I'll admit that I've often come up a bit perplexed with their component choices. 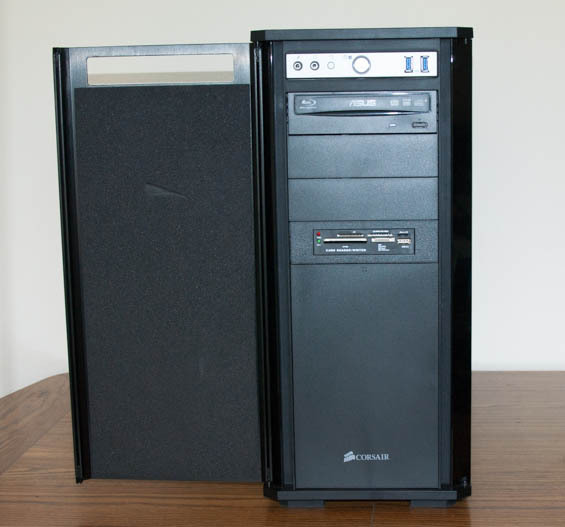 I was unimpressed by some of the enthusiast level selections iBuyPower made with their Professional Series, and Puget Systems sent me a Genesis II workstation with a consumer grade graphics card in it and an unwieldy price tag. DigitalStorm faces an uphill battle; they need to compete on quality and on price because by virtue of being a smaller boutique, they're just not going to be able to compete on enterprise class service. Dimensions 20.9" x 8.7" x 19.5"
The Intel Xeon E5-2687W v2 is the fastest octalcore processor in Intel's Xeon line at present. Boasting eight cores at a nominal 3.4GHz and able to turbo up to 3.6GHz on all eight or 4GHz on a single core, it strikes a good balance between optimized single-threaded performance and more heavily threaded workloads. Dissipating its 150W TDP is a closed loop liquid cooler with two fans in a push-pull configuration, and for a system like this, that cooler is actually a fairly smart idea. I'm a little more circumspect about the ASUS Sabertooth X79 motherboard and Corsair Vengeance Pro DDR3-1866 memory. This isn't necessarily a bad configuration, but it's not workstation class either; a proper workstation motherboard and ECC memory would, I feel, have been the right way to go. Graphics duties are thankfully handled by an NVIDIA Quadro K4000. This card is based on the GK106 chip that powers the GeForce GTX 660 and bygone GTX 650 Ti Boost. It employs a single slot cooler, but has been cut down from the stock 960 CUDA cores to 768 and runs at 810MHz, allowing the TDP to drop to a respectable 80W. The flipside is the lack of any kind of double precision performance, but for that you'd have to spend up on a much bigger and more expensive workstation card. The storage subsystem is also a strong point. The Samsung 840 Pro SSD is a solid choice and at 256GB features a healthy amount of capacity. 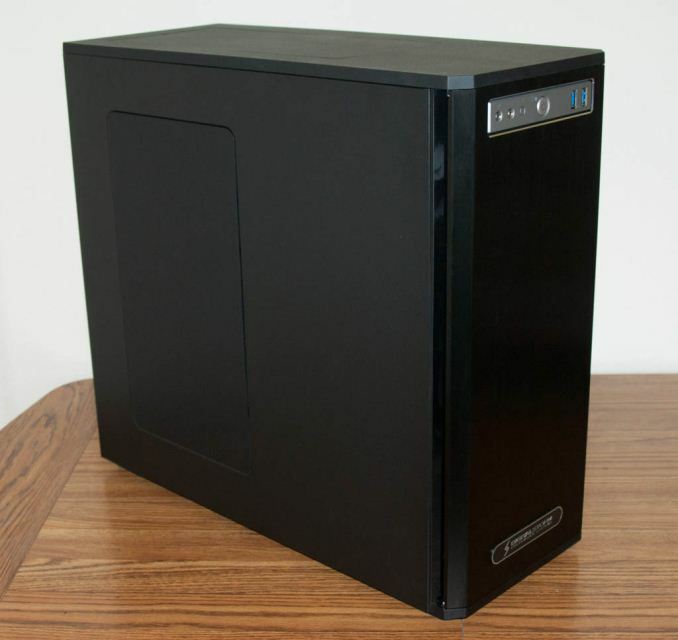 For mass storage, DigitalStorm equipped the Slade Pro with a 4TB 7200RPM workstation class drive from Western Digital. Where I'm going to get fussy again are the power supply and warranty coverage. The Corsair CX750M is by no means a bad power supply, but HP went 80 Plus Gold across the board some time ago. One year parts coverage is also just not going to cut it in this industry; HP and Dell both start at three years. You could reasonably argue that DigitalStorm is trying to use higher quality parts, but that doesn't do you any good when you wind up being the unlucky one with a bad motherboard. All in all, this isn't a bad build, but it does continue to suffer from the same reliance on consumer grade parts that other SI systems tend to. You didn't spend any money, because pcpartpicker is free. Specviewperf 11 is very outdated.